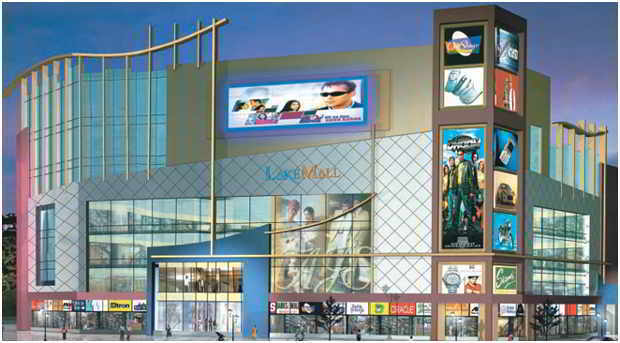 " Lake Mall is a joint venture project with the Kolkata Municipal Corporation. 6- Storied building is all about shopping, food courts and entertainment. Lake Mall is rightly considered as Right product- for the amenities it offers, at right place- South Kolkata, richest part of Kolkata and on right time- launched when there was no other mall to meet the need of south Kolkata zone. Lake Mall emerged as a landmark in Kolkata. "